If you want to get the most out of your air compressor, make sure to keep up with routine maintenance. It's that simple. 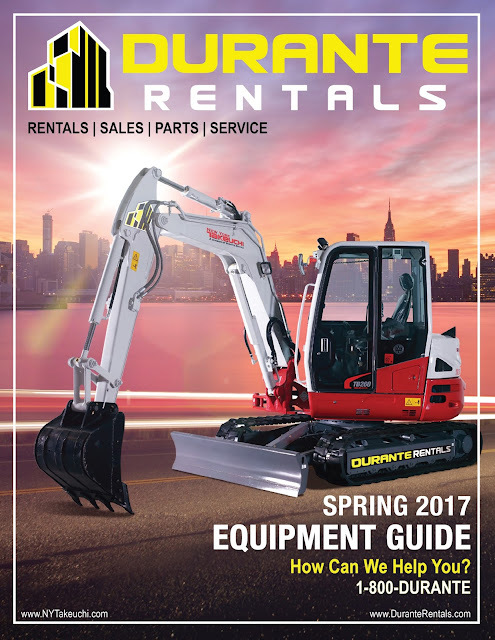 "As with any complex machine, an ounce of prevention is worth a pound of cure,” explains Jessie Pettit, Fleet Manager at Durante Rentals. “Regular and thorough maintenance can save you thousands of dollars and add years to the life of your air compressor." 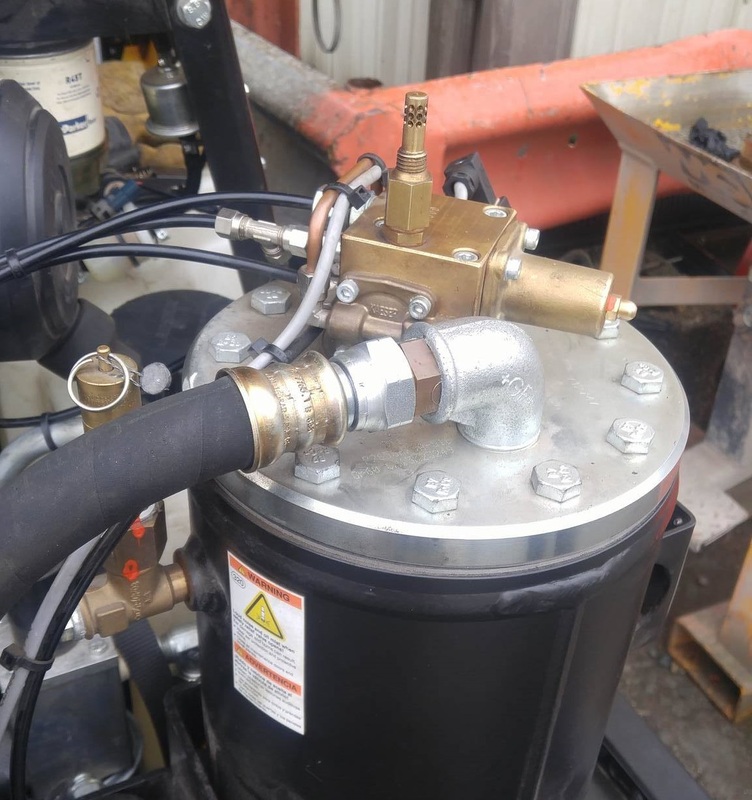 The best practices listed below will help you get the most out of your air compressor. An important thing to remember is that air compressors can differ significantly from model to model so make sure you check your owners manual or local dealer. How often should I service my air compressor? Upon purchasing a new air compressor, make sure to establish a maintenance regimen and then stick to it. You can find a number of free maintenance schedule templates online, but the following are good guidelines to stick to. Much like a car, many air compressors come with a dipstick that will allow you to check your oil level. Other models may come with an indicator like the one below. For those machines, the ideal oil level will be at the center of the red dot, however as long as the oil does not go below the dot you shouldn't worry. Be wary of any steep drops in oil or the presence of oil residue on the bottom of the tank. 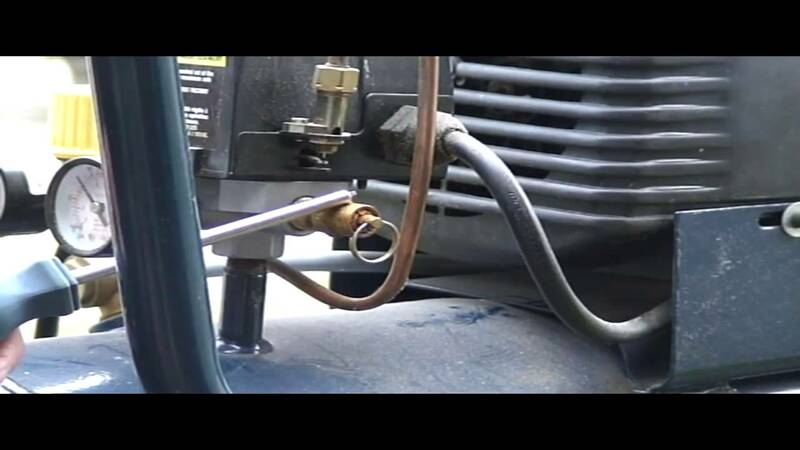 Oil leaks can quickly cause serious issues to you air compressor's components. 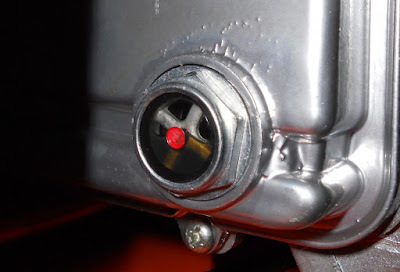 A few times a week, slowly open your compressor's release valve located at the bottom of the tank (see image) and drain out any excess moisture. This fast and easy procedure will help prevent pressure buildup and rusting of internal components. Frequency depends on how often the air compressor is used and the type of environment. 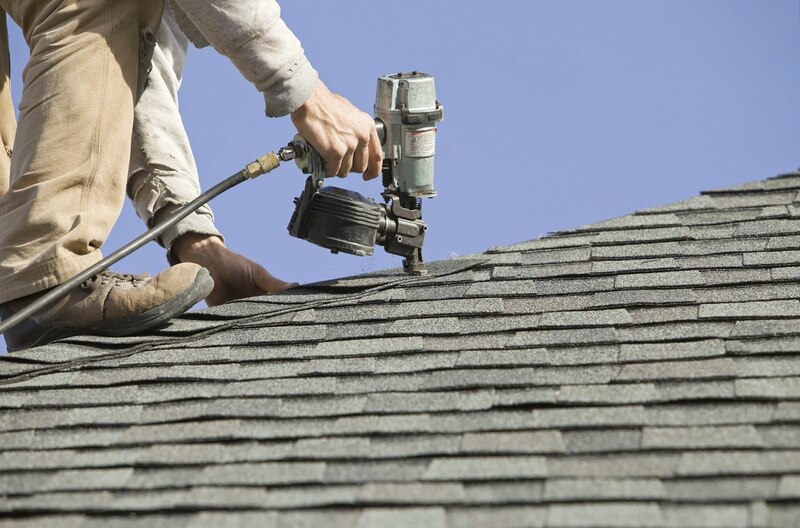 Strange noises may indicate a number of problems from air leaks to engine trouble. Make sure that you pay attention when operating your air compressor and quickly address any issues you detect. If your problems persist you should bring your air compressor in for service immediately. Air leaks in your hoses will affect the performance of your compressor and put undue strain on the rest of its components. Make sure to patch or replace your hoses as soon as you detect a leak. Loose belts can cause your compressor to squeal and create issues with low compression. To check your belt's tension, locate and press down on the slackest part of the belt with roughly five pounds of pressure. Ideally, it should move approximately half an inch. Dirt in your air filters will force your machine to work harder to pull in air, hurting its efficiency. The buildup of dirt can also spread to other parts of your machine damaging more sensitive components. Filters should be checked for excessive grime buildup every week and changed every six weeks or so depending on use. Generally, these filters will be located within a plastic housing. Simply open this housing and examine the filter inside for excess dirt and grime. As the location of these filters will vary dramatically from model to model, it is recommended that you check your manual for their location. Every air compressor comes equipped with a valve that will pop and release air if the pressure in the tank gets dangerously high. To test your release valve, turn on the air compressor and allow the pressure to build up for about half an hour. Then, locate the release valve. It should be a silver or gold valve sticking out of the tank, likely with a ring at the end of it. Finally, use a wrench to pull the release straight out. It should come out with some force, emptying air from the tank. Over the course of normal use, your air compressor’s vibrations may cause screws, nuts and bolts to loosen. This can lead to a number of problems down the line. Go over your air compressor checking each bolt and address anything that needs tightening. Leaks are one of the major drains on air compressor efficiency. A typical air compressor that has not been well maintained can have a leak rate of twenty to thirty percent. Leaks can be easily detected with an ultrasonic leak detector. Simply listen to the headphones and hone in on the source of your leak. 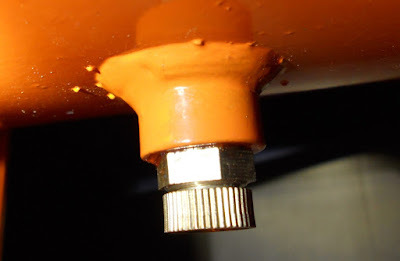 Once found, most leaks can be easily repaired by simply tightening a loose connection. However, some may require drastic action, such as replacing couplings, fittings, pipe sections, hoses, joints, drains, and traps. Leaks may also be a result of poorly applied or worn out thread sealant. In these cases, you should select new fittings, disconnects, hoses or tubing, and install them properly with appropriate thread sealant. It is a good idea to bring your air compressor into your dealer or service station once a year. 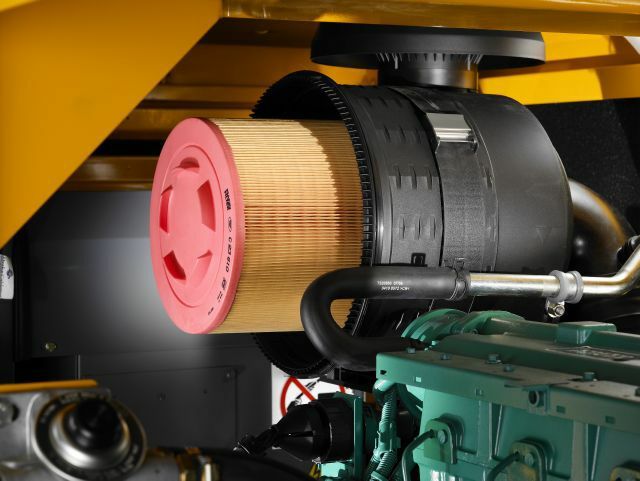 Trained professionals will be able to change the oil, install new air filters, replace any worn compressor belts, and generally take stock of your machine and address any issues. 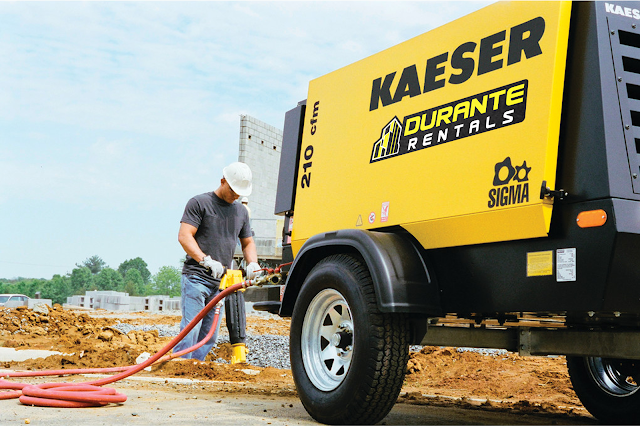 For questions, inquiries about air compressor sales and rentals, or to book a service appointment, visit DuranteRentals.com or call 1-800-DURANTE today! What is CFM and How Many CFM Should My Air Compressor Have? 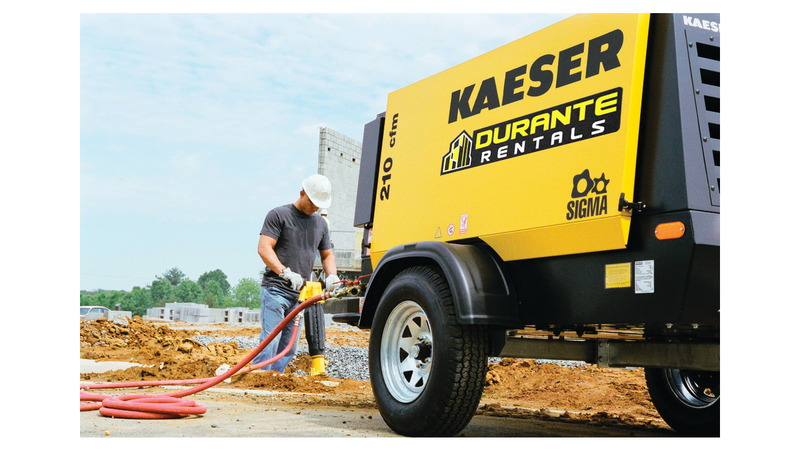 Most construction projects rely on air compressors to power their job-sites and equipment. 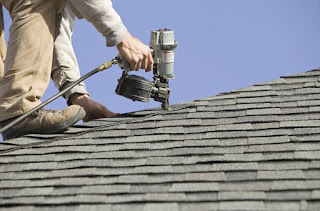 They power a wide range of tools like pneumatic hammers, rock drills and concrete power cutting saws. A truck can't pull a load without adequate horsepower just like your air compressor can't power your pneumatic equipment if it doesn't generate enough CFM. CFM (Cubic Feet per Minute) is the measurement used to describe how much air your compressor releases every minute. Industrial air compressors use a diesel engine to draw in air, compress it, and release it in a powerful flow. Air is pulled into a chamber and compressed by two rotary screws and then released from a nozzle at the other end. This air can be used to power several pneumatic machines at once including paving breakers, chipping hammers, clay diggers, rivet busters, sand blasters and rock splitters. PSI (pounds per square inch) is another important measurement for air flow but shouldn’t be confused with CFM. PSI refers to the force of the air your machine can put out (measured in pounds). CFM on the other hand refers to the total volume of the air your compressor can release (measured in square feet). For example, if you were to blow air onto a piece of paper, the PSI would be the pressure on the paper and the CFM would be the volume of the air you were blowing out. With pneumatic machines, the higher the PSI the harder your attachment will drive. The greater the CFM, the faster it will work. For example, your pneumatic nail gun might be able to deliver nails at 100 PSI of force, but if your CFM is to low, it might only build up enough force to deliver one nail a minute. Alternatively, an adequate CFM will allow you to deliver a nail at 100 PSI every second. How Many CFM Do I Need? Most air compressors come with outputs of 185 CFM but they can range all the way up to thousands of CFM. Attachments will generally come with information on their CFM requirements. 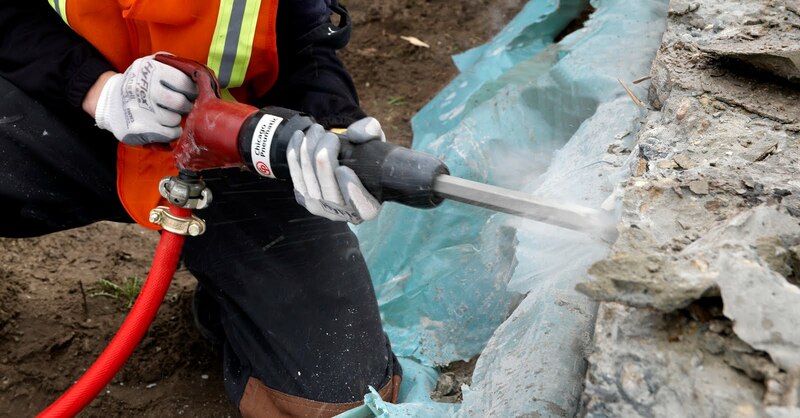 Breakers can range from 49 to 91 CFM, spikes are around 73 CFM, rock drills can be anywhere from 46.6 to 129 CFM, and chipping hammers generally won’t exceed 32 CFM. If you only use one tool at a time your compressor should generate enough CFM for your tool with the highest CFM requirements. If you plan to use more than one tool at a time, your compressor should be able to provide the total CFM of all machines in use. For example, if you plan to use a 55 CFM spike and a 100 CFM rock drill simultaneously, your compressor should have an output of at least 155 CFM. For more questions about CFM's, compressors, or pneumatic equipment, visit duranterentals.com or call 1-800-DURANTE today!